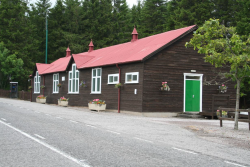 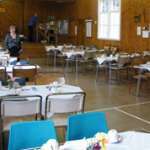 Edinkillie Community Hall is set in a rural location in the Dunphail area, approx.. 8 miles south of Forres on the A940. 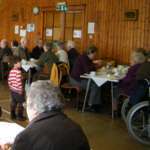 The hall was built in 1927, and has only had two alterations made, the kitchen extension, the original kitchen is now a store room, and the entrance and toilets extension which were made in the early 1970s. 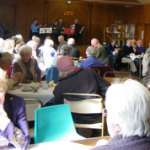 along with several functions held in the hall throughout the year, including a bowls competition and spring/autumn teas.